The clove tree is an evergreen tree with large leaves and red flowers. Cloves are the aromatic flower buds which are ready to harvest when they turn bright red and are 1.5 to 2.0 cm long. 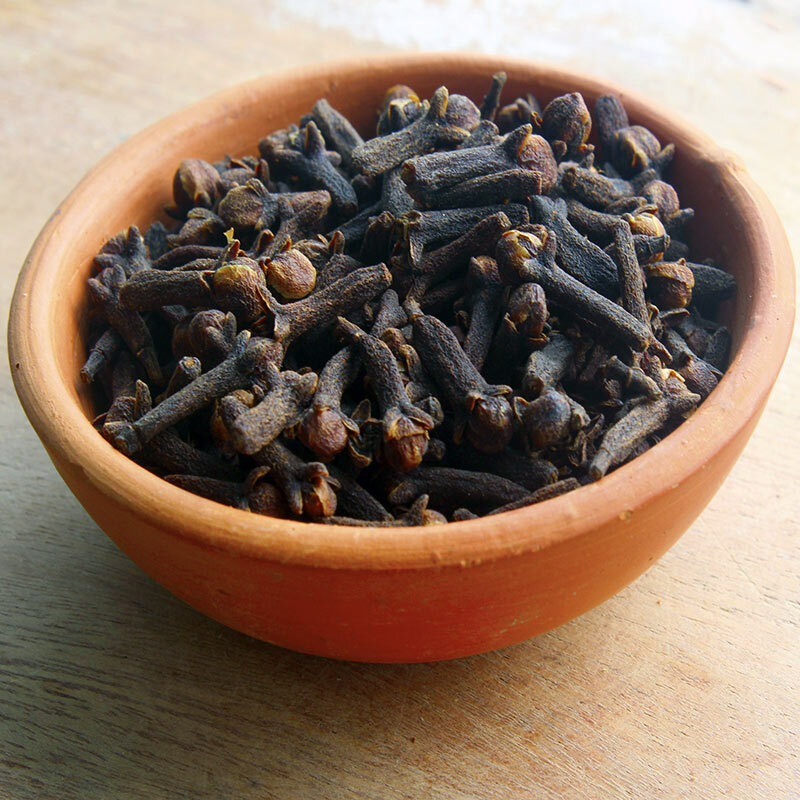 Cloves can be used whole or ground, and have a strong spicy and peppery flavour. Cloves should be stored in an airtight container in a dark, cool place, but not in a refrigerator. Stored like that, cloves should last for minimum 1 year.